COLUMBUS, Miss. – Culinary Camp for Kids is now under way on the campus of Mississippi University for Women. The camp provides children, second through 12th grade, with an opportunity to learn vital skills such as cooking, organization and etiquette. 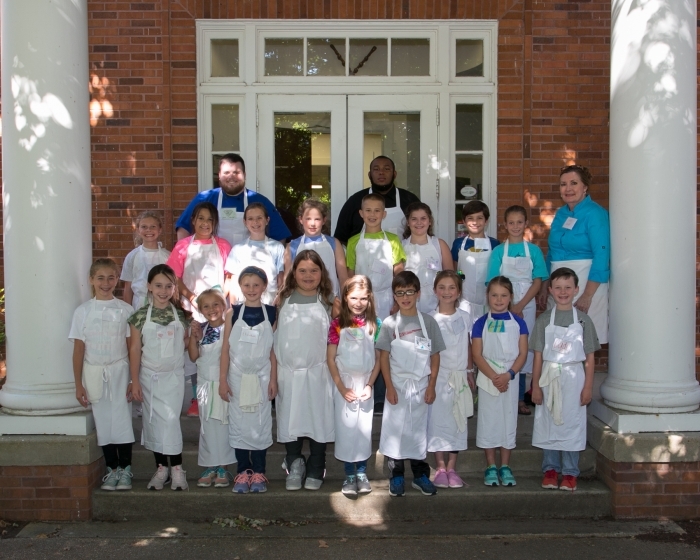 Culinary Camp for Kids has been a staple of The W’s Culinary Arts Institute since 1999, and it continues to be a popular camp. The 18 spots in each of the four groups have been full for weeks. Grades second through third, finished on June 8. Culinary camp for the first group, fourth through sixth, will take place June 11–15, followed by the second group fourth through sixth grade June 18 – 22. The last week of camp will be for seventh through 12th grade youth, June 25–29. A graduation ceremony is held on the final day of camp to showcase the skills campers have learned. The W’s highly respected Culinary Arts Institute is one of the few programs in the country to offer a baccalaureate degree.